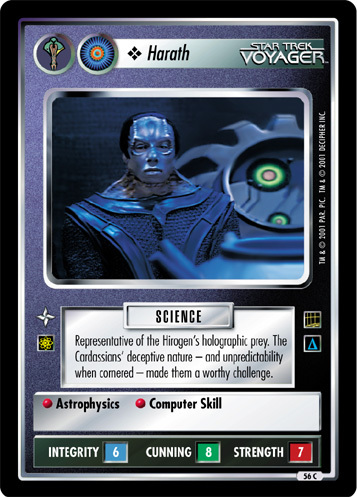 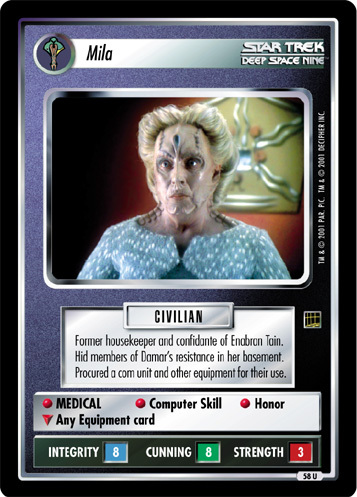 Cardassian hologram created by the Hirogen. Self-taught engineer of advanced skill. 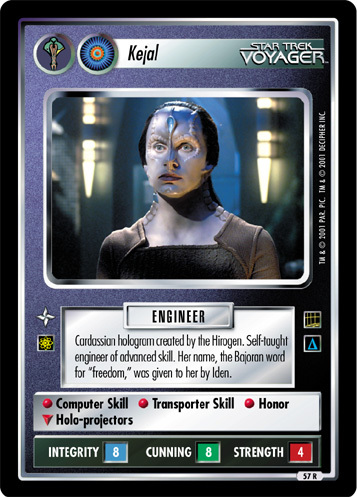 Her name, the Bajoran word for "freedom," was given to her by Iden.